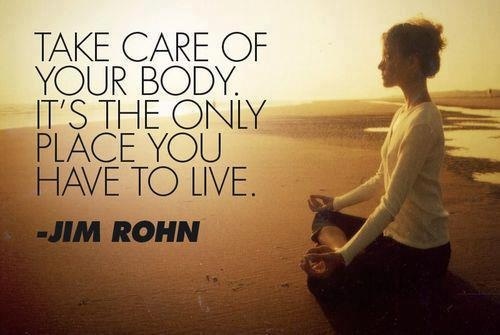 The human body is your biggest asset in this lifetime. Yet, ironically, it often receives the least attention from you. My late father-in-law, Venks, would often say this: “Sometimes, you must listen to your body. Especially when it is throwing tantrums, when it is protesting with aches or fever, you must simply let it rest.” Over the years, I have come to relate to Venks’ advice totally. Early on in my career, I used to believe that Sundays, holidays and vacations came in the way of my ambitions and dreams. I was consumed by the view that if you are awake, you must be firing away on all cylinders, working harder each day to stay competitive. At that time, health, to me was a destination, that one arrives at when success – as in a material sense, name, fame, money – has been achieved. Today I stand corrected. I realize that unless we nurture and care for ourselves, beginning with our body, we cannot last the course of this lifetime being fit, healthy – and competitive. Most people disregard the view that the human body must be nurtured and preserved for as long as they can. Every gadget we possess – from our cars to phones to air-conditioners to washing machines to laptops to microwaves to refrigerators – receives our attention. The moment there is a slight whimper or blip in the functioning of any these “things” we rush to maintain them. But we have no regard for the human body. We whip ourselves – and our body – to perform. Only when we suffer a breakdown – a heart attack or a nervous collapse – we ‘wake up’. Wouldn’t it be more prudent to simply care for and nurture the body so that it allows us to function more efficiently or effectively? I don’t want to sound preachy myself on a Monday morning when chances are you will be battling your own blues. So, I will lean on quality guru Phil Crosby’s (1926 ~ 2001) simple yet profound saying: “Health is true wealth. And it is totally tax free!” It sums it all up – doesn’t it?